Has marine life ever looked so chic? 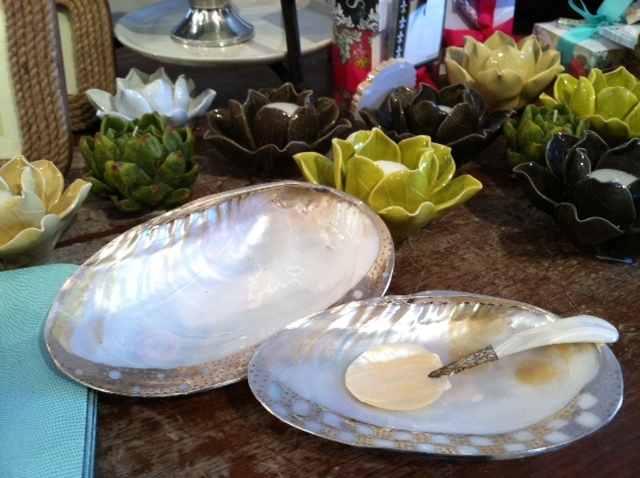 We are loving these natural cabebe shell dishes and mother of pearl spoons from Two’s Company. Perfect for serving caviar at your next dinner party, or for displaying beautiful hand soaps in your powder room, these elegant and versatile dishes will look great virtually anywhere!